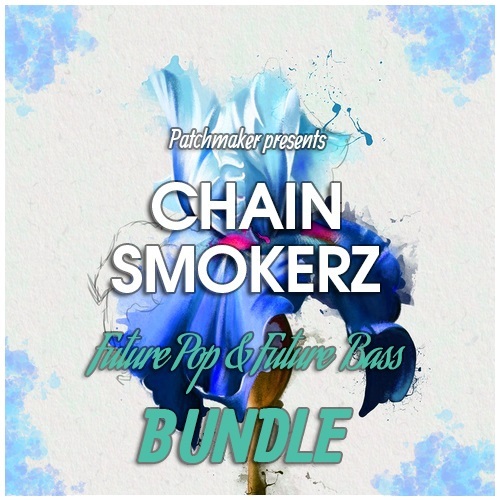 Patchmaker is very proud to present the “Chainsmokerz - Future Pop & Future Bass BUNDLE” with over 940 sounds ready to use. These specially selected products have been grouped into one singular purchase which will ensure that producers have every sound needed to create their Future Pop or Future Bass hit! Inside expect to find future pop leads, future bass chords,trap basses, beautiful pads and so much more.Huge range and variety of presets make them available to use for production not only in the mentioned genres, but also Trap,Dubstep,Future House and even Deep House and Drum & Bass!. This Future Pop & Future Bass BUNDLE includes 7 products with professionally designed patches for Serum,NI Massive,Razor,Spire and a lot more! In detail expect to find 284 Serum presets, 220 Massive presets,64 Razor presets,64 Spire presets,196 MIDI files and over 100 samples & loops! This immense sound pack will surely help you to take creativity to the next level! Check the demo and get your copy of “Chainsmokerz - Future Pop & Future Bass BUNDLE” today! Save over 70% on the presets,samples and MIDIs and put some new inspiration and high quality sounds into your music! Most of presets have macros, so you will be able to switch them at your own preference. Also this pack has bonus files that were used in the demo. Most of presets has macro controls so you can tweak them to your taste.